After contracted, start on drawing plans. This "basic design" contains a floor plan (layout), a ceiling plan (lighting), elevation plans (wall), and section plans (how to make fixtures). I have construction companies estimate these plans, and comprehend approximate construction cost. So I make sure that the amount of cost and design fee is within a budget of client. 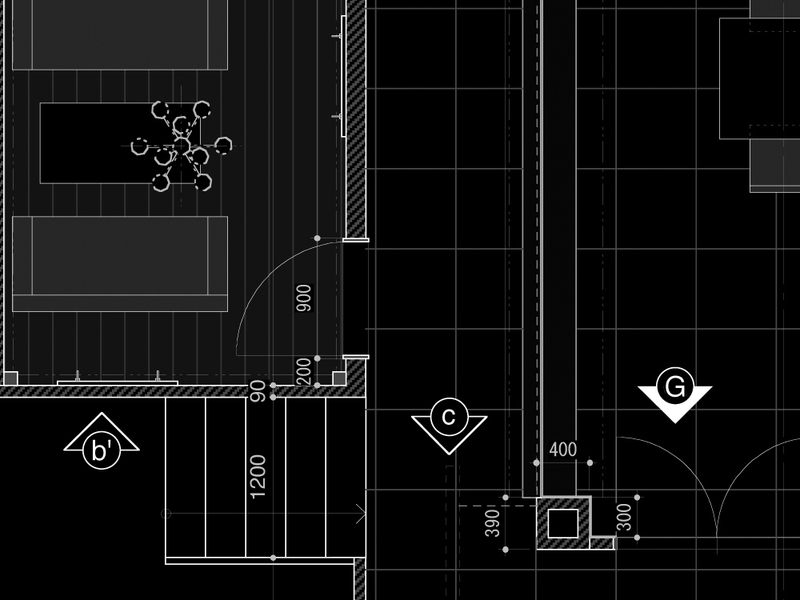 Because of this, I draw plans with material name and dimensions clearly for estimation.